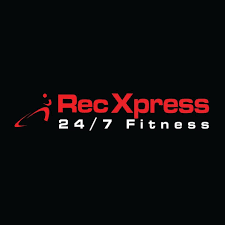 Rec Xpress 24/7 fitness is currently inviting new or experienced personal trainers to join our clubs for long term career opportunities. Although this is a rent paying role, we have a long grace period (5 months) before you are required to pay the full rent of $220 per week. We don’t lock you into any contracts and you are able to suspend your rental payments when you take time off. We are concerned with providing our trainers with a solid platform from which to work. We provide you with a substantial amount of new potential clients as well as weekly workshops from senior Personal Trainers to ensure that you are equipped with the right skills to keep you in business. If you are serious about sustaining a long-term career in Personal Training and are looking for a non-intimidating, wholesome environment in which to work please contact us. If you are not yet a qualified Personal Trainer but want some insight to how the industry works, don’t hesitate to attend our weekly workshops and complete some work experience with us. To arrange an interview or to simply attend one of our free workshops please call Trainer Sebastian on 0412 558 978 or email [email protected]. Our clubs are located in Huntingdale, Ormond, Bentleigh, East Brighton, Clayton.